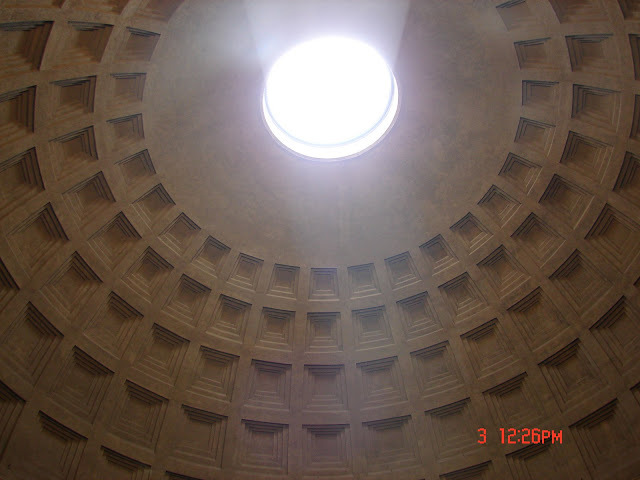 I went to the Piazza Novona which was being repaired and went back to the Pantheon to see the inside. 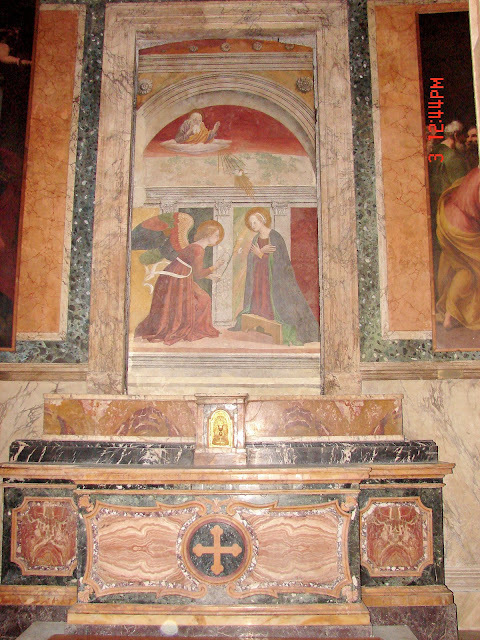 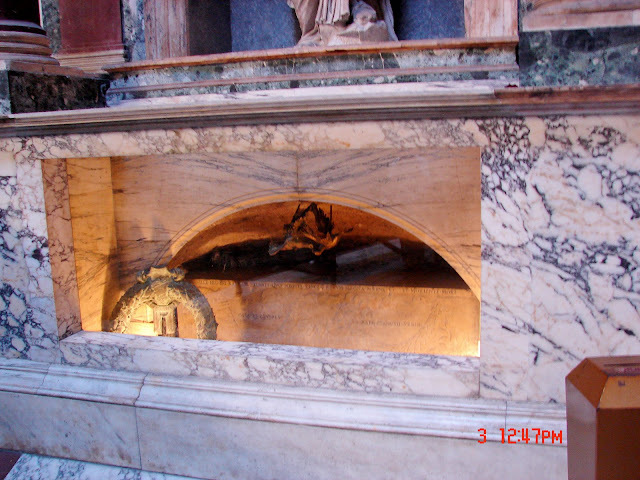 Raphael's tomb is inside. 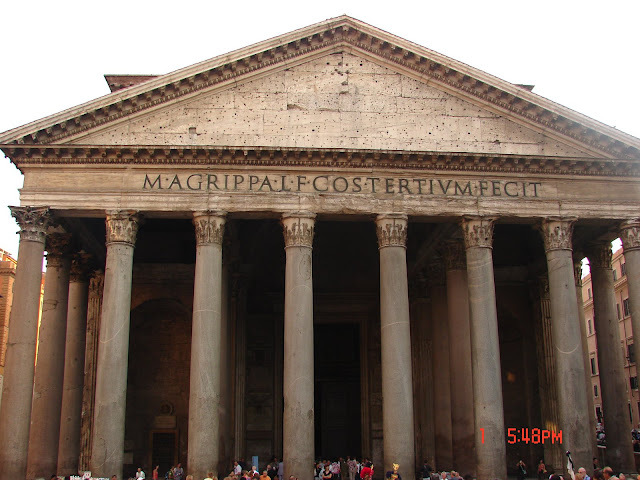 The Pantheon is the most complete ancient Roman building remaining today and is an architectural wonder. 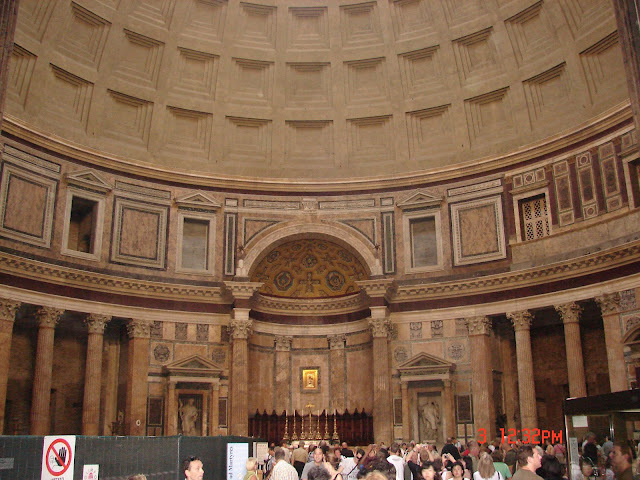 Its dome is exactly as wide as it is high, supported by pillars hidden in the walls. 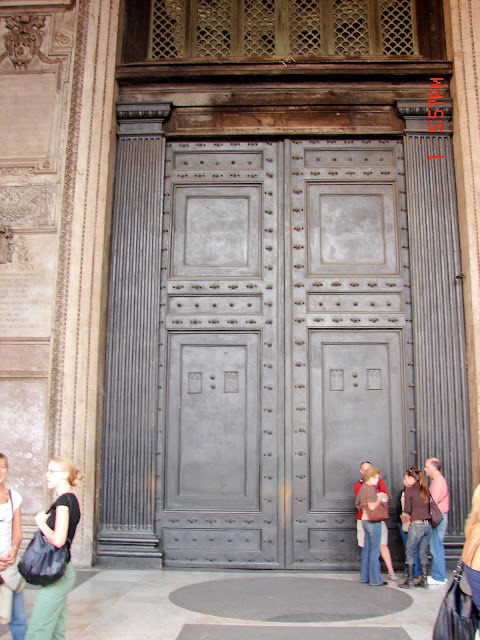 It is located in the Piazza dell Rotunda. 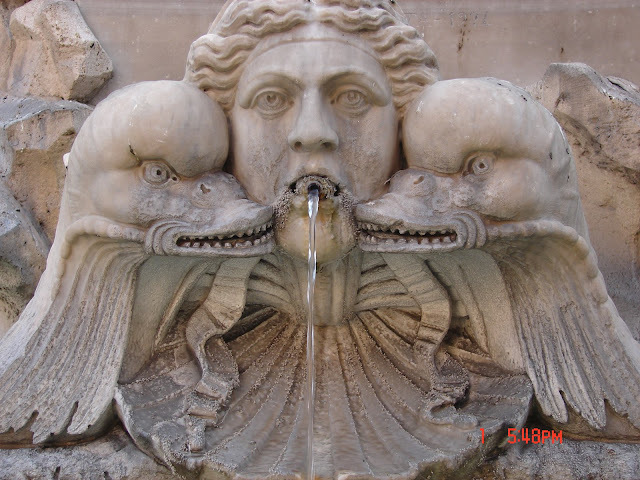 Also pictured is a fountain in the middle of the piazza.